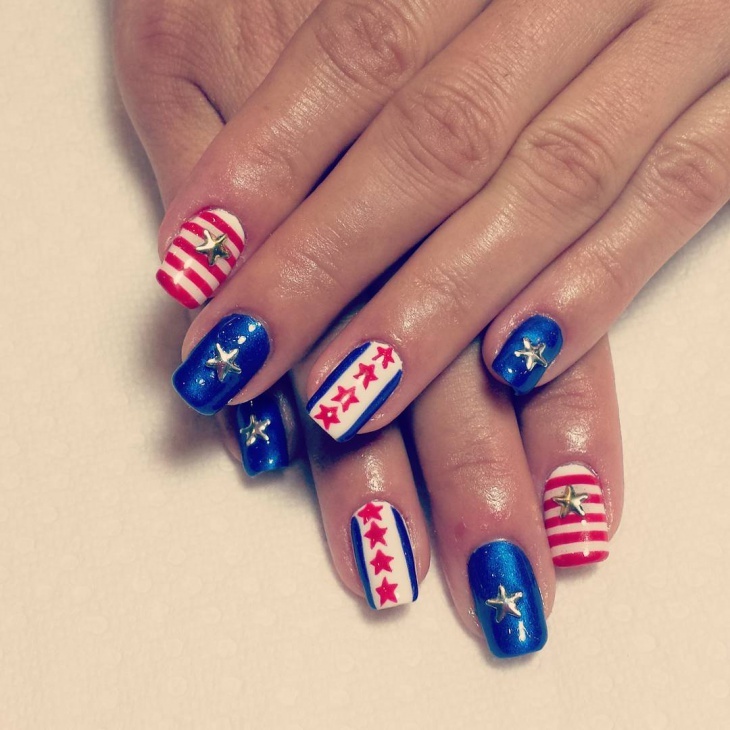 We have hunted down few of the best designs that stormed the internet. 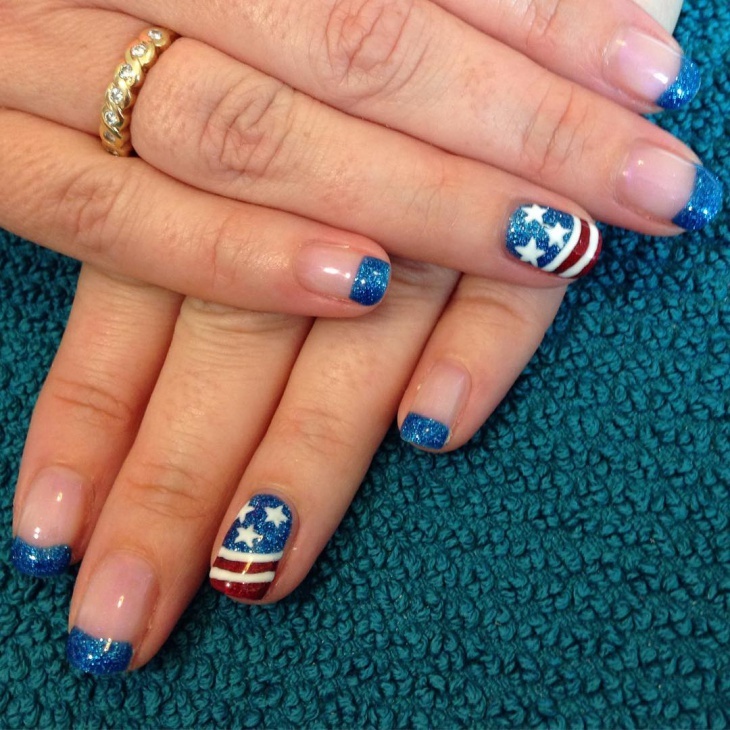 With a patriotic theme, we have top 20 of the best American Flag Nail Design for the upcoming 4th of July celebration. 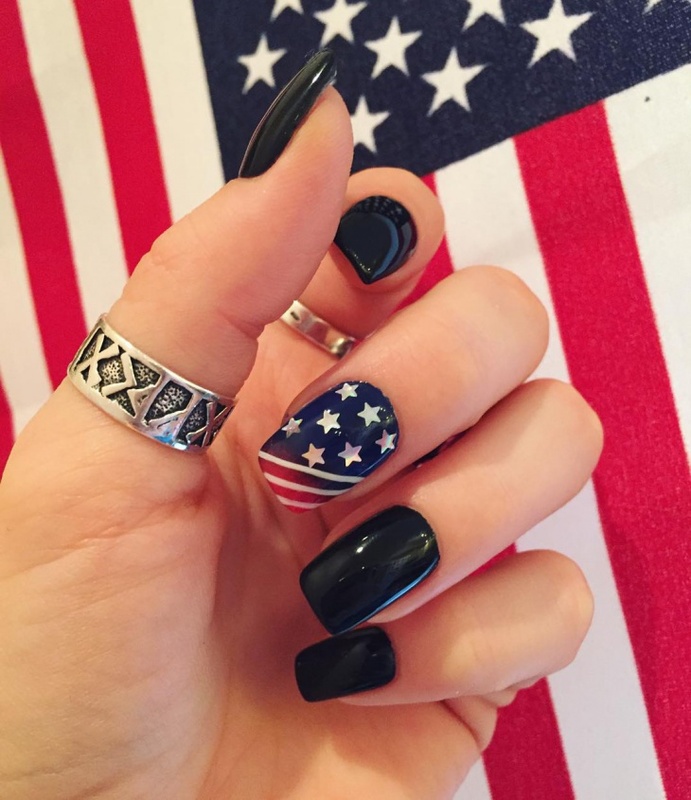 By following these simple styles you can show your love for the country right on your finger tips. 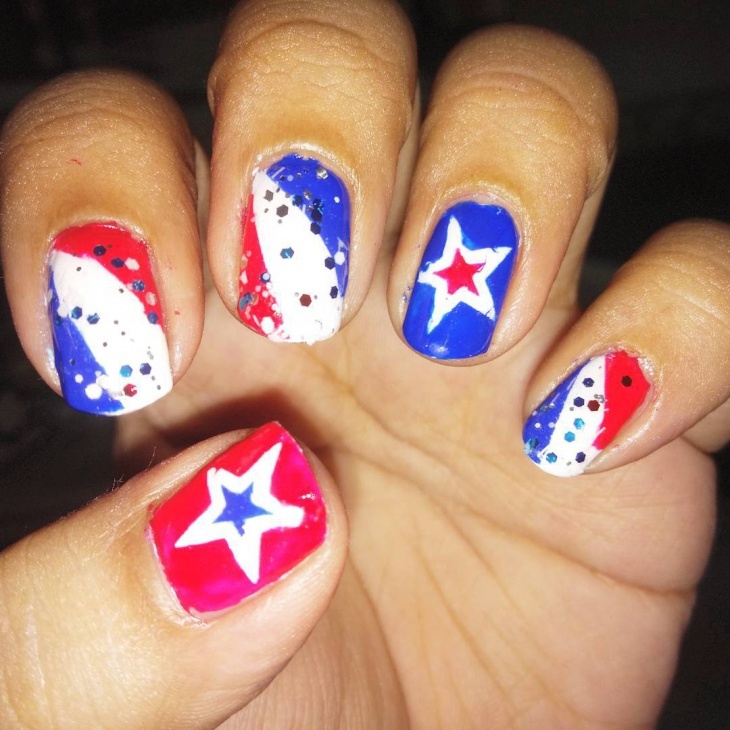 A cleaver thought of playing with the colors of the flag. 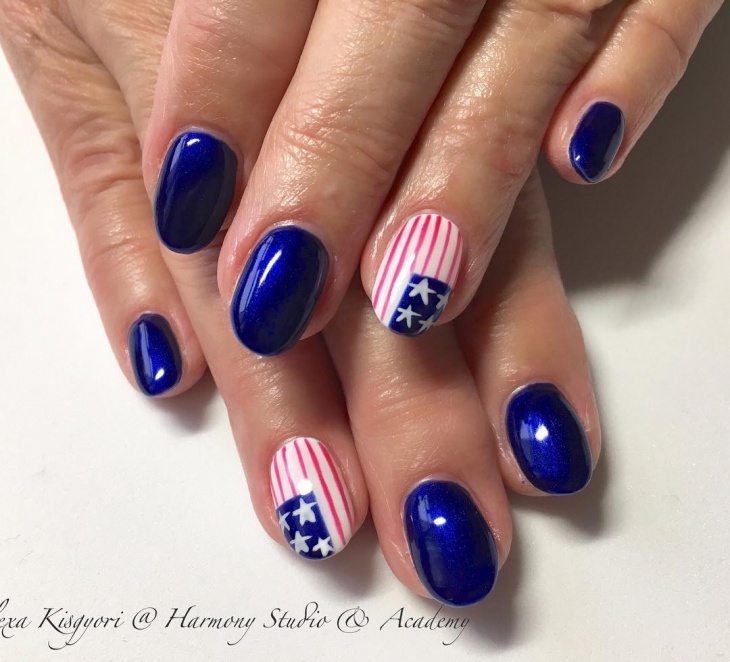 It is perfect for the July 4th after party. It requires a lot of effort to pull something off like this. Done with such perfection, it must be considered as art. This is something cute, something creative, something subtle, something nice. This is perfect to bring out the college girl in you. 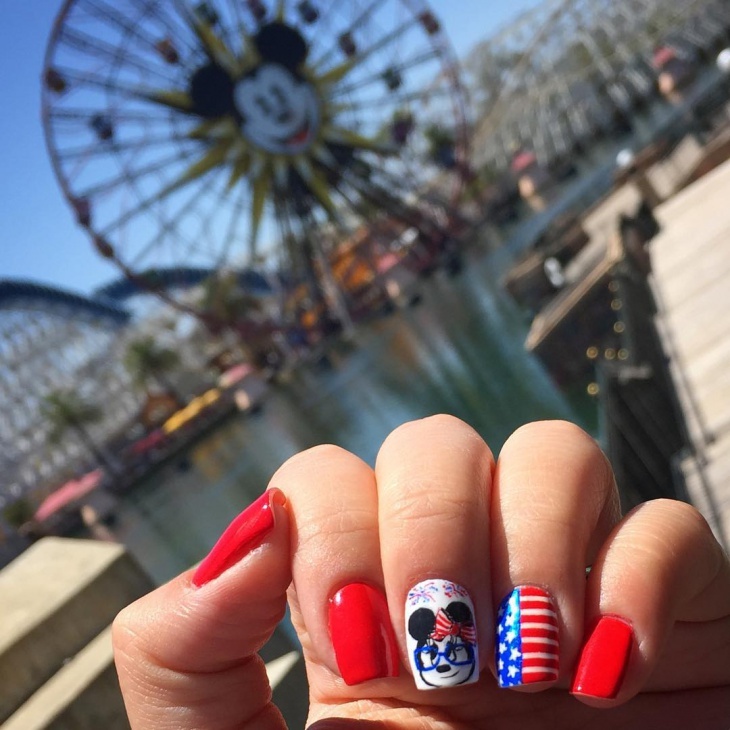 The bright red adds a charm to your nails. 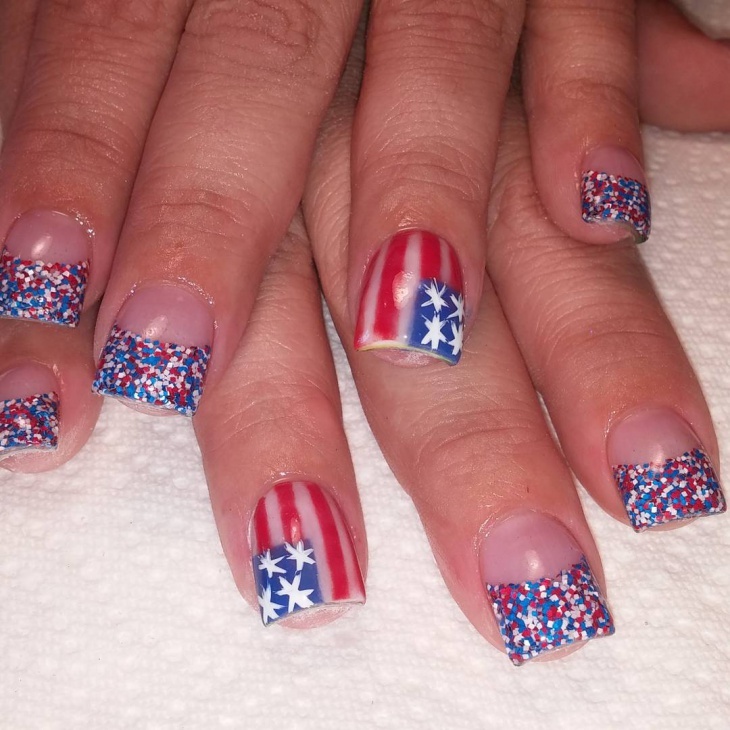 This is a simple yet beautiful design making it to our list of top 10 American Flag Nail Design. An art will make you stop and take a second look. The art screams out gothic and classy at the same time. 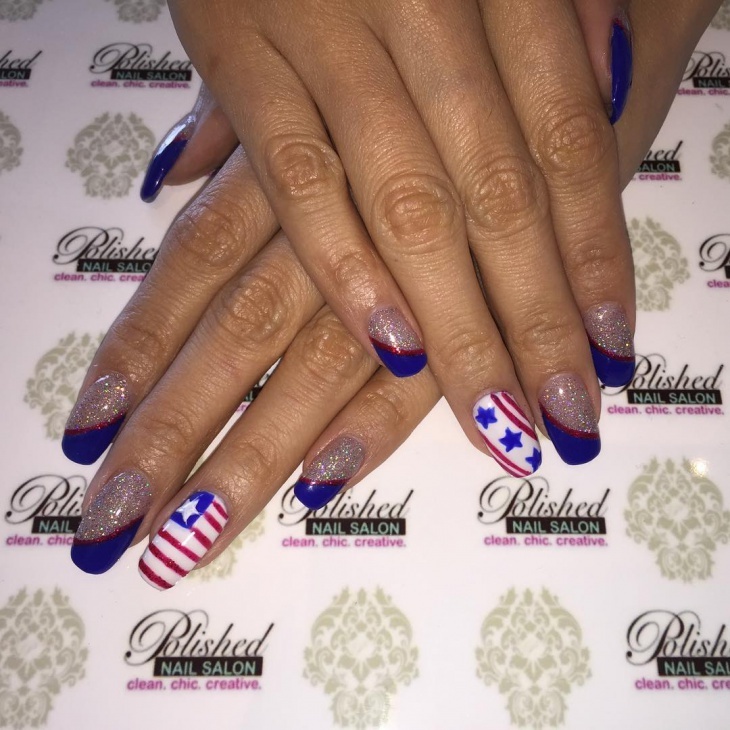 Flaunt it; a lot of planning has gone into this work by choosing the right finger. Something you need to wear for the next political campaign. We could not have ended this list without mentioning this art. Simple strokes combined to create the entire picture. It is comparatively easier than the rest and can be done at home itself. 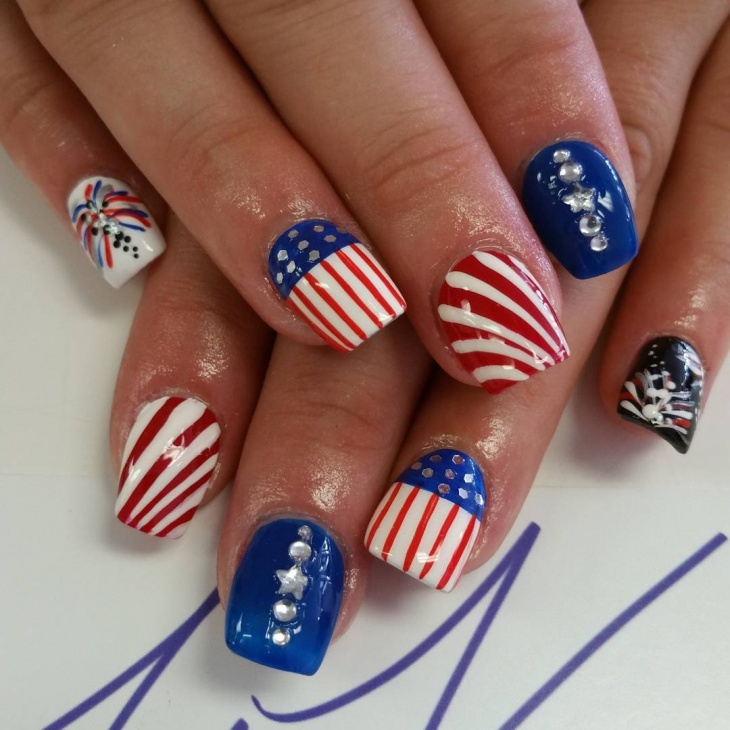 Give your long nails the bold colors of the flag for this 4th of July. The cool part of this art is it fits all age groups. 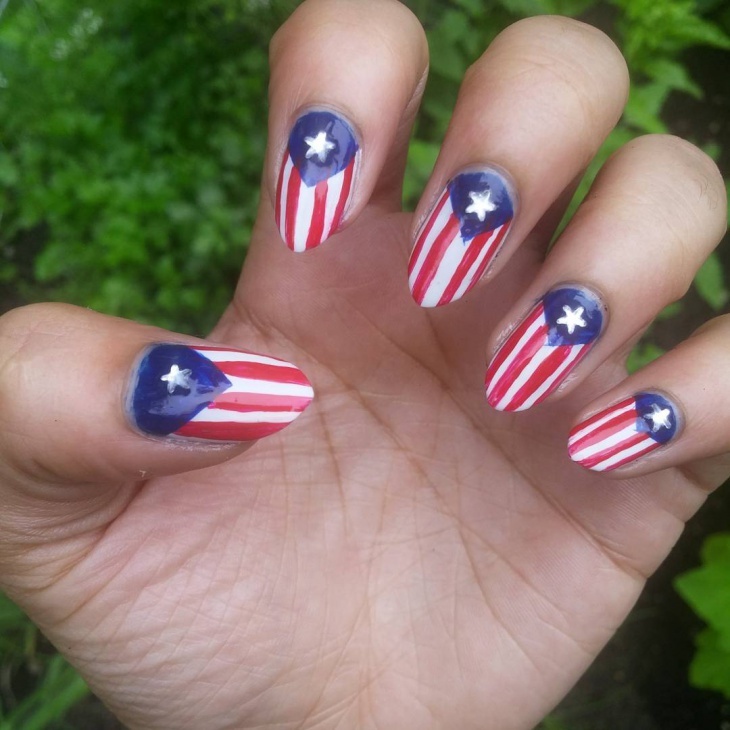 If Captain America wore nail polish then he would have definitely gone with this design. 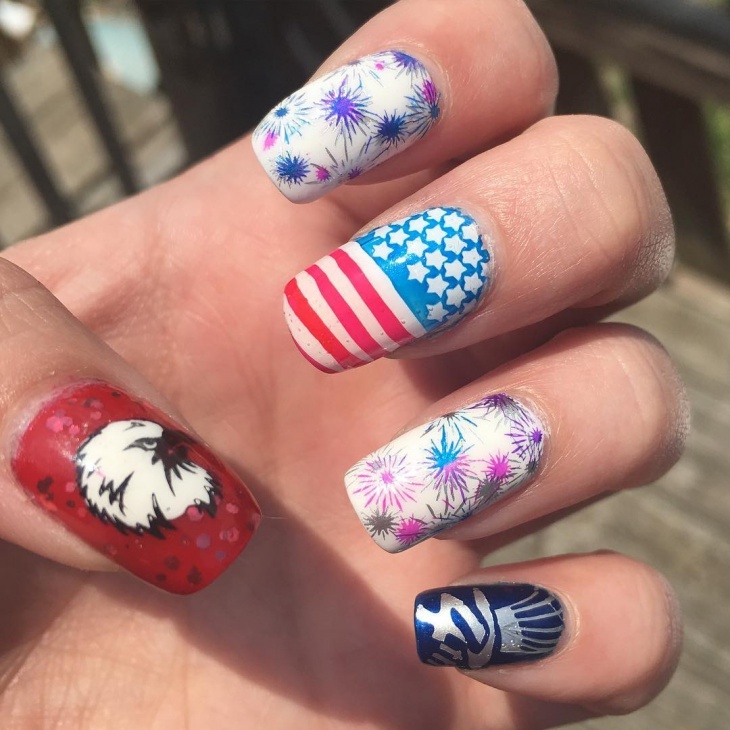 The bold silver stars definitely make it stand out from the rest. It’s not all glamorous, unlike the rest. It’s perfect for a superhero movie night as well. 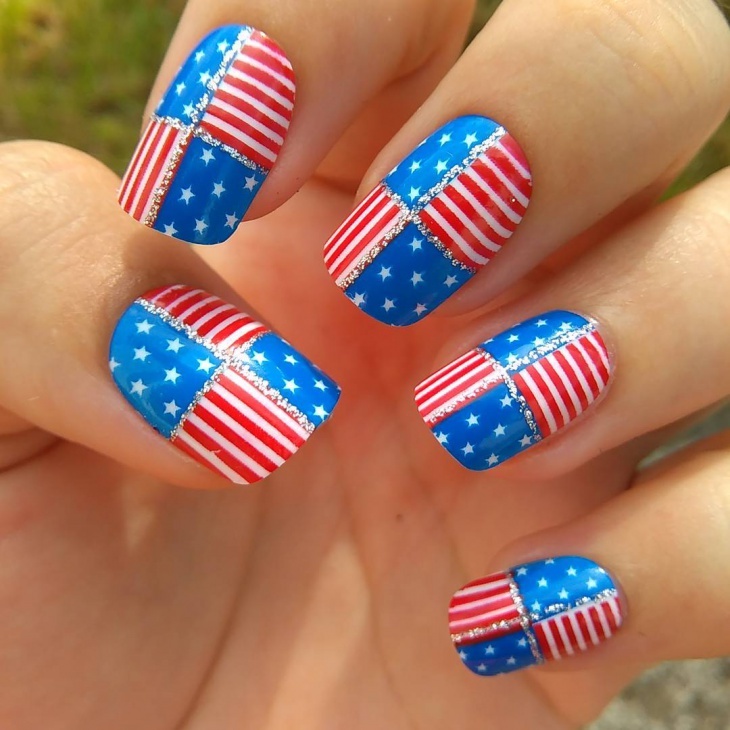 Sharp ends or not, this nail art fits into our list because of its creativity. 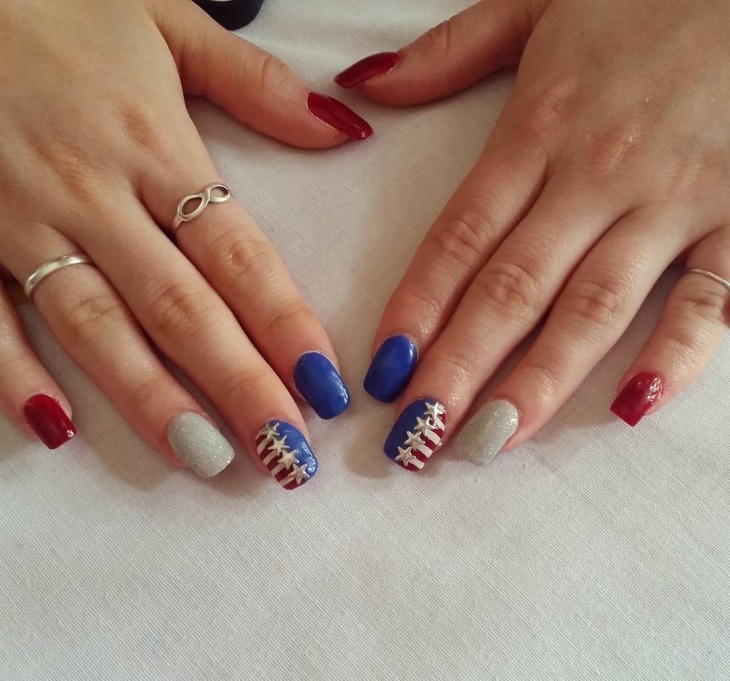 Maintaining uniformity is a key ingredient in nail art, and this art has nailed it. 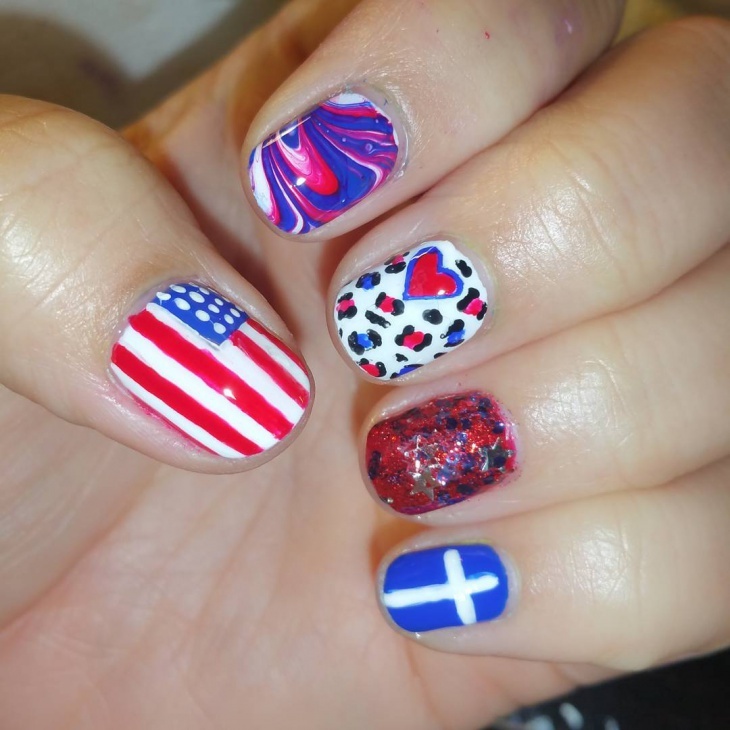 This design is for all those who find it weird to have a different color in each finger. 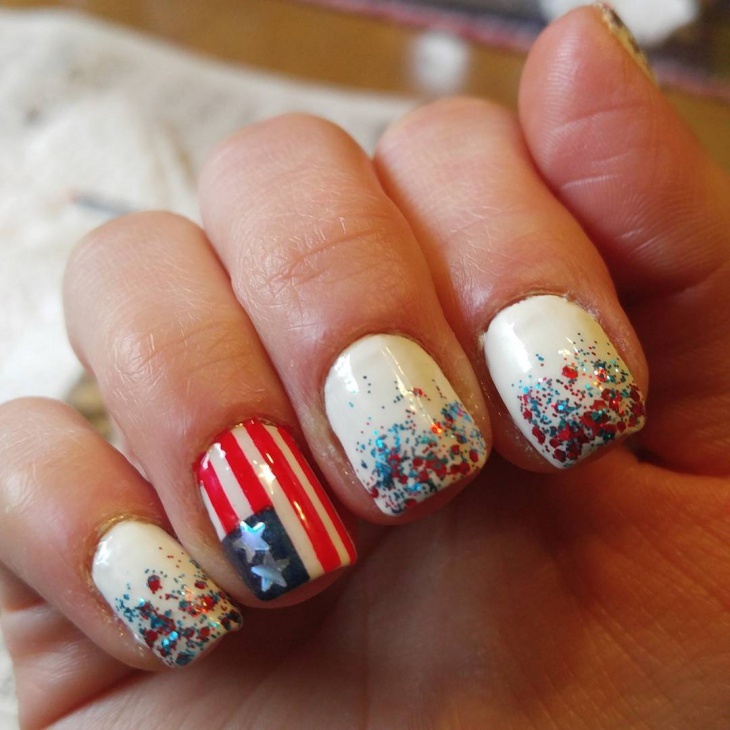 It is easy to pull it off and you experiment with this by adding stars. The sharp tips cut through our list. 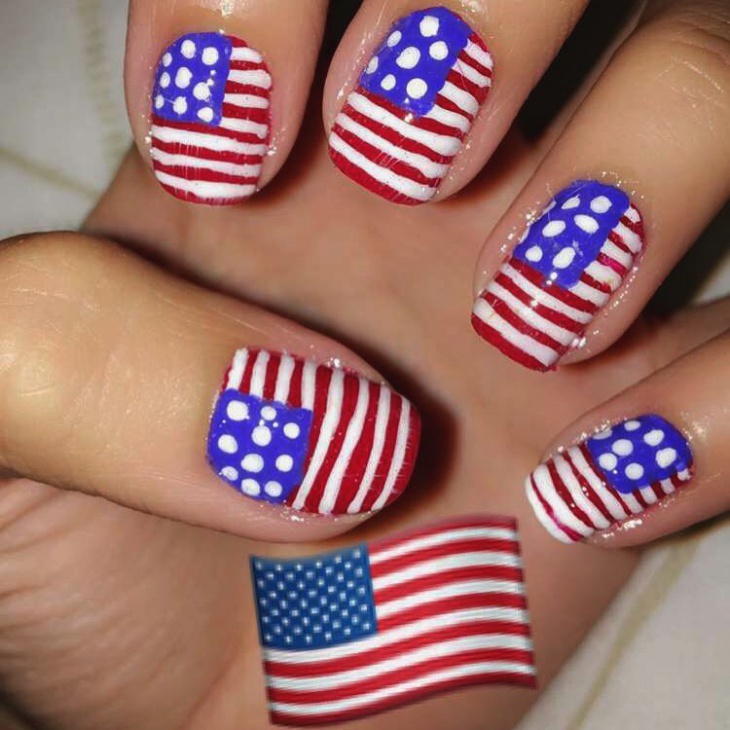 The stars can be replaced with easy round dots. 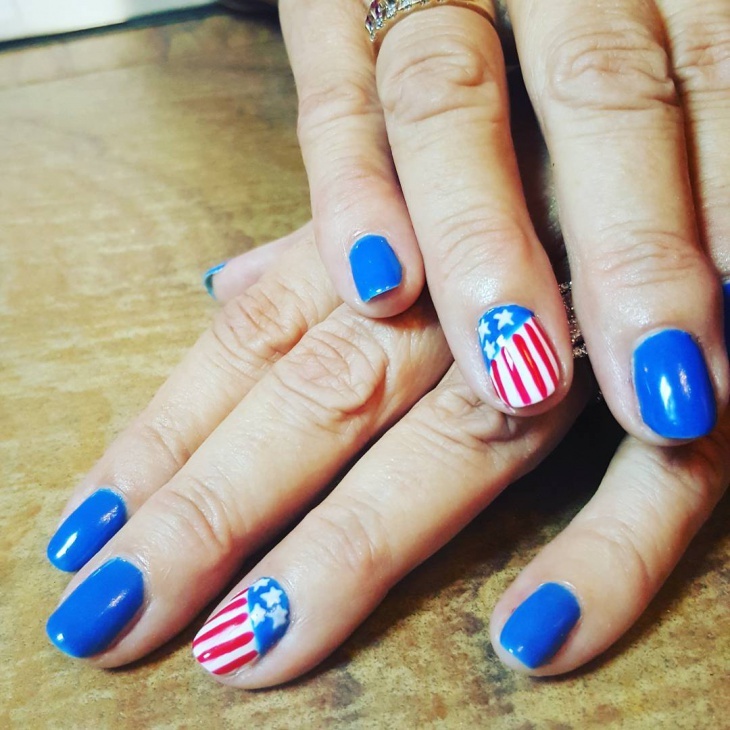 This is an easy one for you to do it at the last minute, just get the colors of the flag and let your nails be the canvas. Break the rules of art to pull off a master piece. 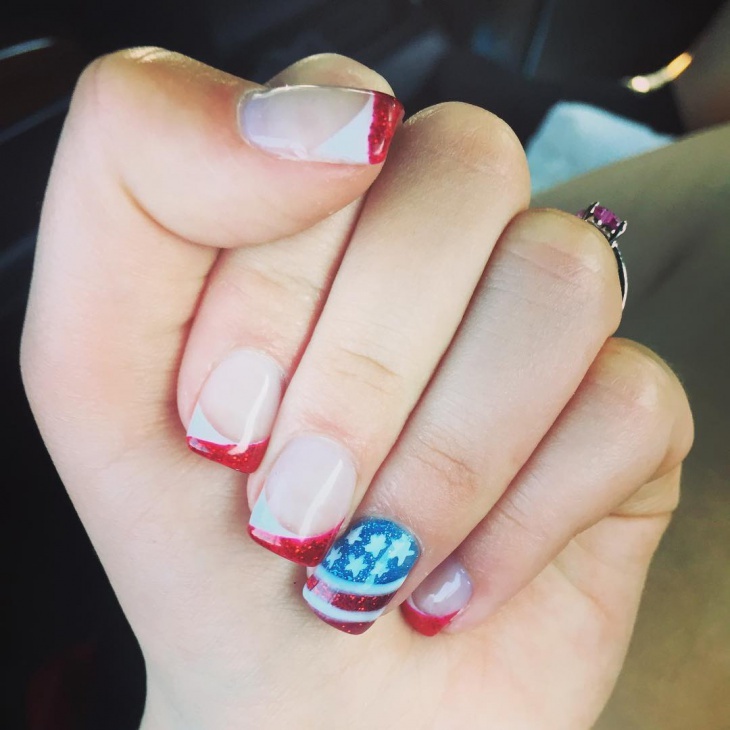 This is an easy yet stylish design. 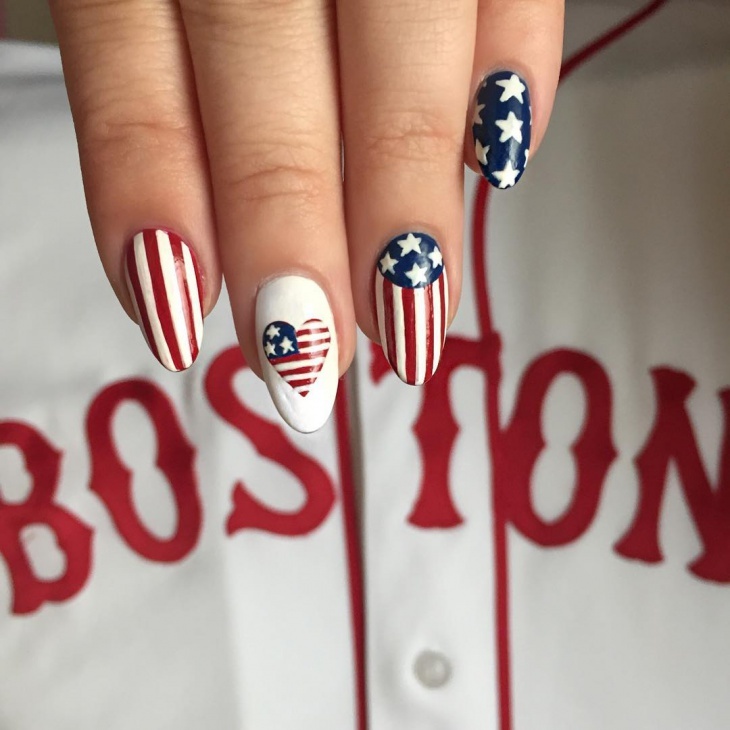 It is simple enough to be subtle and bold enough to show your patriotism to the country. The empty spaces can be covered with other shades or with a star. Playing with flags with similar colors is very cool. We’re sure of that fact that wherever you go with this art, you are sure to be complimented for your efforts and creativity. It’s cool and it’s simple. A classy shade of blue is very matured in terms of art. 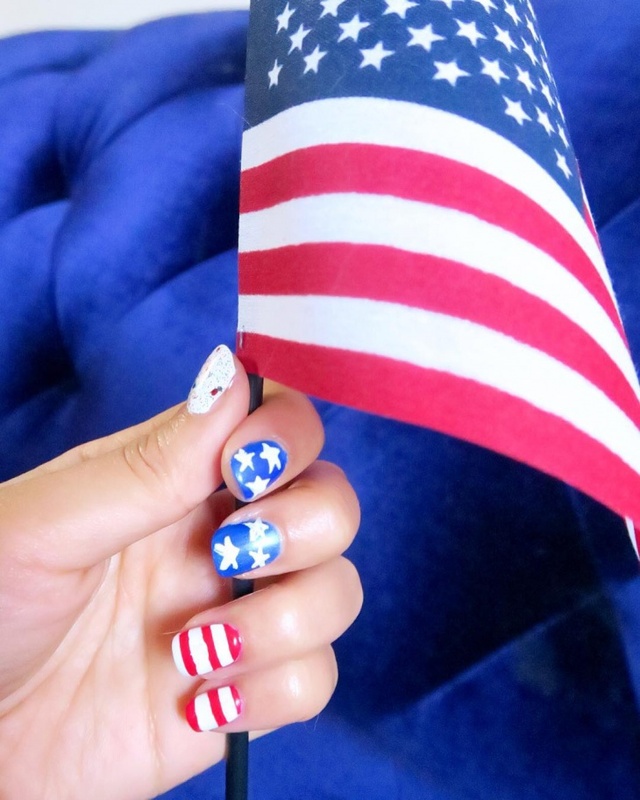 It’s really elegant and symbolizes the flag perfectly.